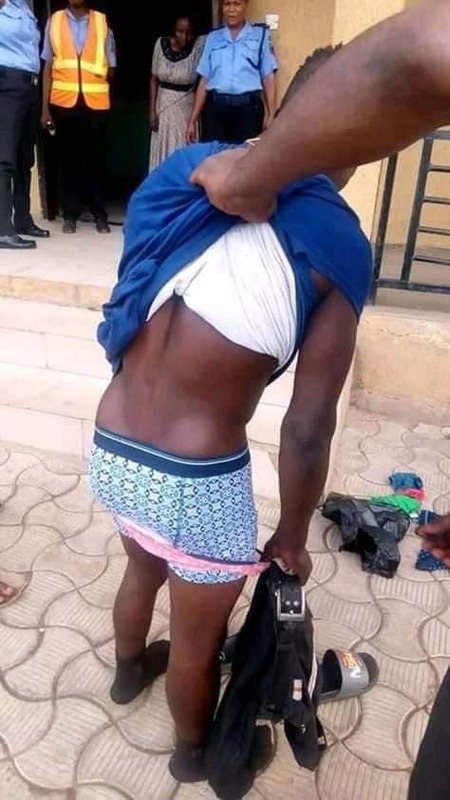 Barely days Nigeria Police Force said it cannot investigate the stealing of pants for spiritual purposes due to evidence, a young man was apprehended yesterday after reportedly stealing female underwear in Lagos. It was gathered that the yet-to-be identified boy was nabbed after stealing a pant which is allegedly belongs to his sister – for suspicious reason best known to him. The young man who was suspected of stealing the pant – was forced to strip off his trouser after being caught by residents in Oshodi area of the state.